For e-delivery by or on Thanksgiving, place your adoption order by 11:59 PM ET on Wednesday, November 21st. 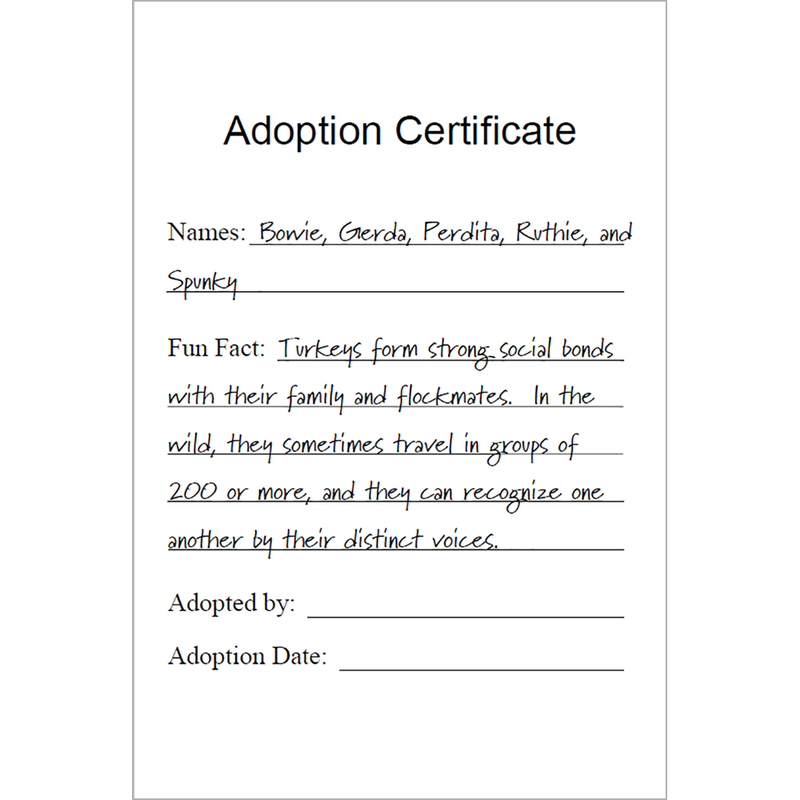 Paper Certificates are sent via USPS First Class Mail and are not trackable. Please allow 10 business days for delivery. They are mailed separately from all other items. For USPS delivery by Thanksgiving, place your order by 11:59 PM ET Tuesday, November 13th. USPS delivery times may vary by area. Ruthie’s former “owner” thought she was purchasing chicks for her backyard-hen flock; as Ruthie grew, though, the woman realized she was actually a turkey! Since she was unequipped to care for turkeys, however, Ruthie couldn’t stay. So she contacted Farm Sanctuary, where Ruthie now enjoys the beautiful life she deserves. Bowie is a confident, assertive leader who loves to strut proudly in front of his rooster fans and enjoys chatting with the turkeys who live next door. He was surrendered by his former guardian and is now the star of his flock at Farm Sanctuary. Watch Farm Sanctuary's Program Coordinator Breezy Rondilone sing to her feathered friends and remind us all to "Do Better." 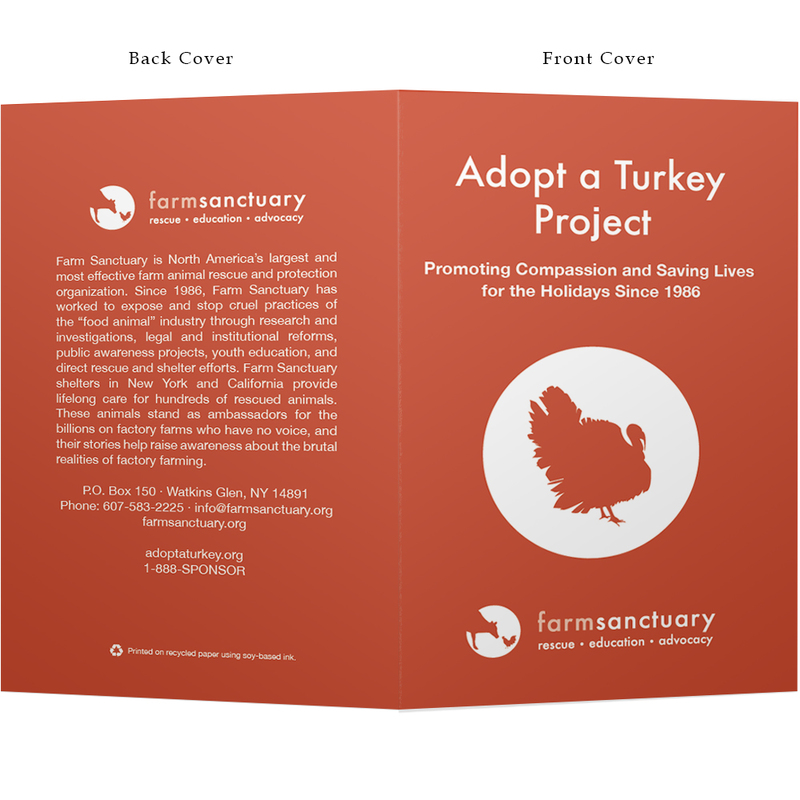 Since 1986, Farm Sanctuary’s Adopt a Turkey Project has encouraged people to save a turkey during the holiday season through sponsorships that help us rescue animals and provide care for them at our sanctuaries, as well as educate and advocate for turkeys and other farm animals everywhere. 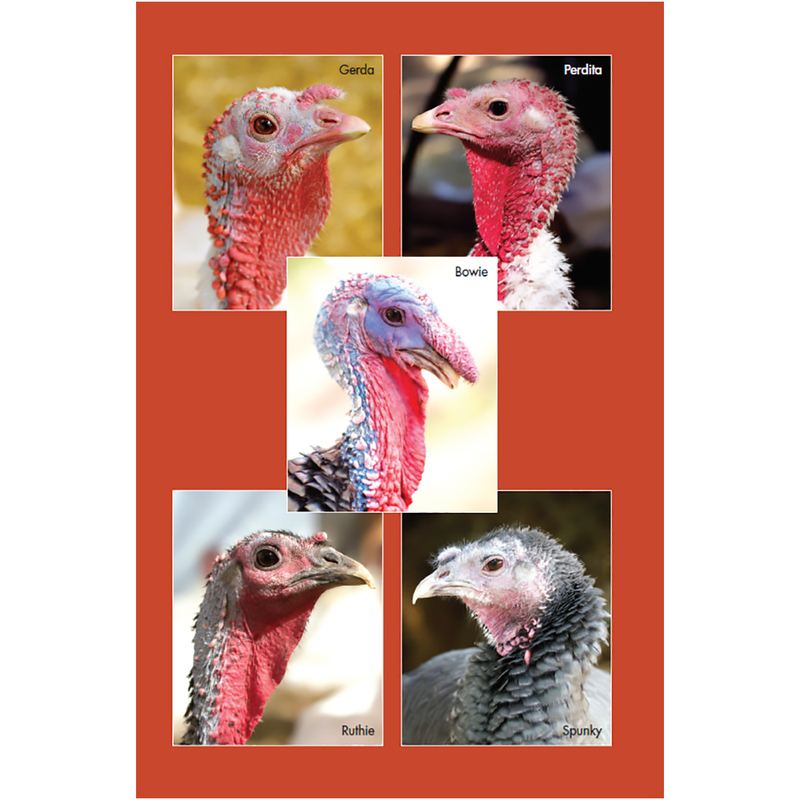 For a one-time donation gift of just $150, anyone can sponsor a turkey flock. 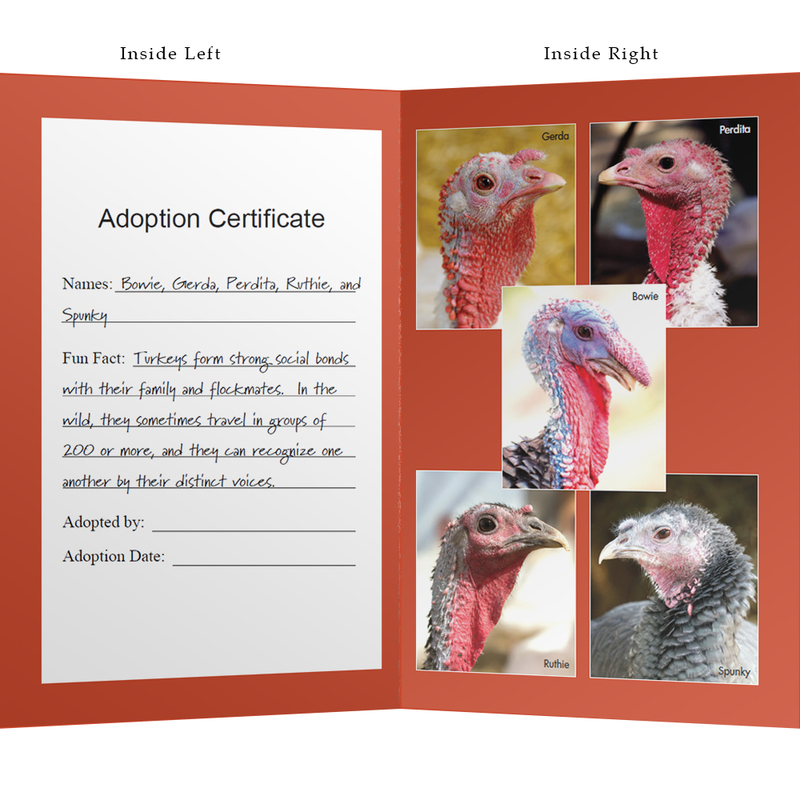 As a turkey sponsor, you will receive a special Adopt a Turkey certificate with a color photo of and fun details about your new friends. Turkey sponsorships also make perfect gifts, so make an even greater impact this holiday season by sharing the love with others.